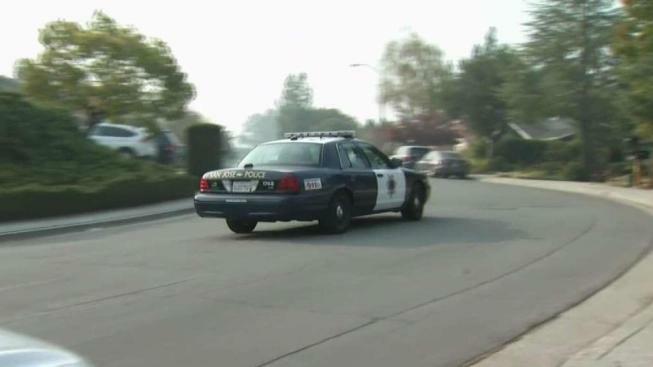 A domestic violence suspect was found dead Wednesday night under a San Jose home, police said Thursday. The victim called police at 9:16 p.m. Wednesday and said there was a family disturbance in the 6700 block of Elwood Drive. The victim, a woman, said she was assaulted by her boyfriend. Police said the victim and two men left the home and the suspect stayed inside and refused to come out. Police said the suspect was ultimately found hiding under the home and was unresponsive when he was found. Officers and medics began CPR and the suspect was taken to a hospital where he was pronounced dead. An investigation into the death is being conducted jointly by the Police Department's homicide unit and the Santa Clara County District Attorney's Office. The Police Department's internal affairs unit, the city attorney's office and the Office of the Independent Police Auditor are monitoring the case, according to police.